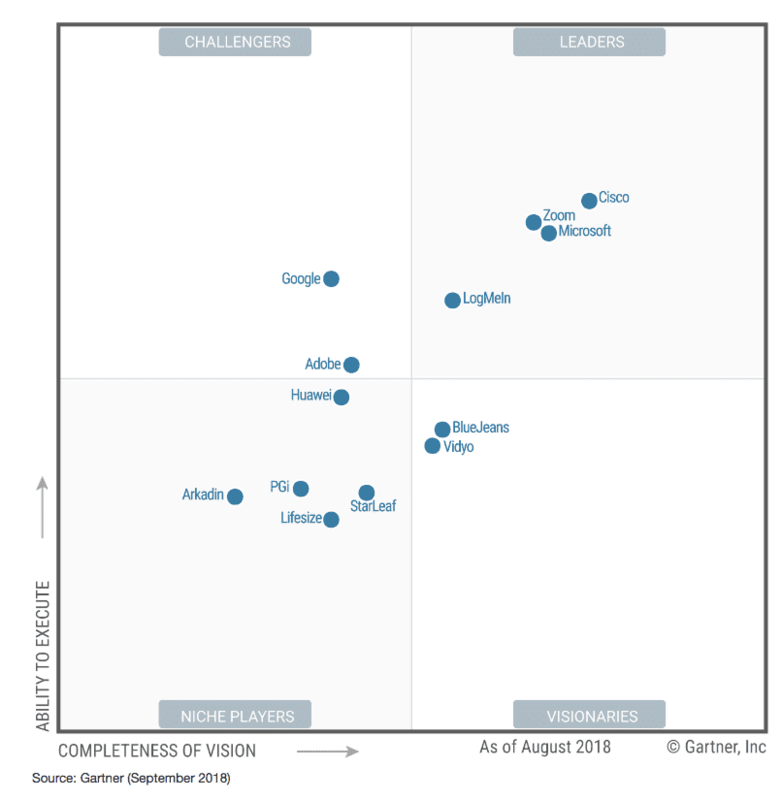 Whether your business is in the search for a new Meeting Solution platform, or just wants to check up and see how their current provider is ranked, Gartner is generally the go-to. 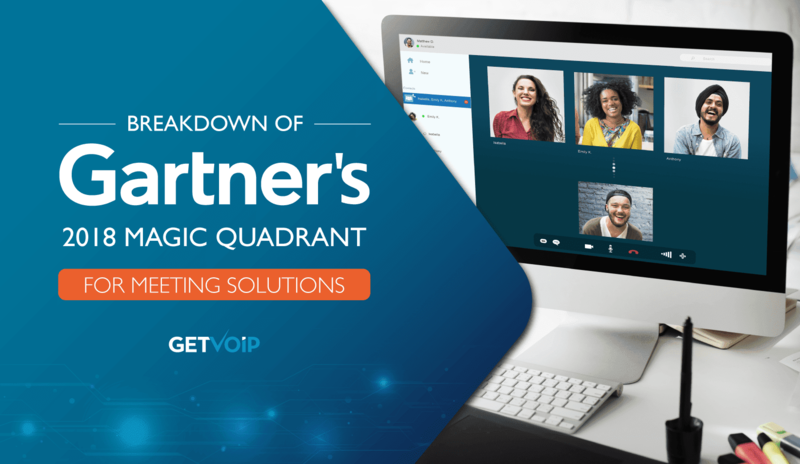 In the past, we have taken a close look at their UCaaS and UC Magic Quadrants to better understand the current market and options available, in order to provide business decision makers with the resources they need to ultimately make the right decision. Meeting Solutions in particular have become much more popular as the concept around work has evolved. With the right set of tools, communication and collaboration is now possible across the globe — it just comes down to which one is right for your business. Right off the bat, we need to establish a clear definition of what makes up a Meeting Solution or application to better understand the market and its intricacies. At this point, most communication and collaboration solutions seem to bleed over into a Venn diagram of features and functionality. For example, what was previously Business VoIP has evolved into Unified Communications, combining voice with tools like messaging, presence indication and even video conferencing. However, that does not necessarily mean that Business VoIP and something like Meeting Solutions are interchangeable. 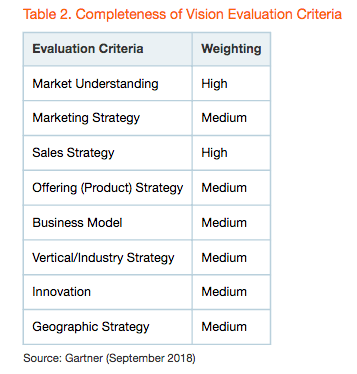 While this seems like a large catch-all, Gartner further explains that vendors will differentiate based on product lines and use-case targets. 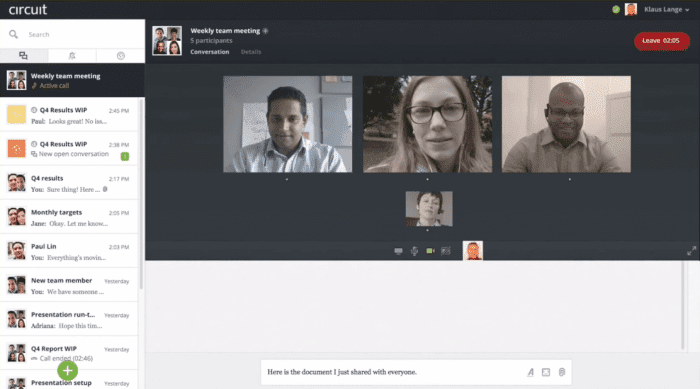 For example, some solutions might include the necessary features to host only Webinars, while others will contain the features necessary to facilitate internal collaboration. Meeting Solution usage and popularity will depend entirely on the specific use-cases for each individual business. Of course, not every organization will have a need for these either internal or external collaboration, while some might require multiple tools to fill every facet of their goals and necessities. Now, one way to sum up these meeting solutions would be to consider them video conferencing tools. However, that doesn’t quite hit the nail on the head, and may even discourage those that would benefit from these tools to invest in them. One main reasoning behind this is a lack of popularity and adoption of video conferencing tools. While they have existed for quite some time, not many are quick to jump into a video if it is not absolutely necessary. There are a few key points I would like to weed out of here. First off, Gartner notes that meeting platform usage for SIP/VoIP audio conferencing was only at 20% in 2017. To me, this illustrates a fairly noticeable issue — not many recognize that these meeting solutions are capable of these functionalities. But also, by 2022, 40% of meetings will be “facilitated by virtual concierges and advanced analytics,” meaning these tools will not only become much more popular, but advanced as well. As we dig a bit deeper and discuss the current top players in the market, it will be important to recognize the capabilities and advancements of these tools. As the needs and use-cases of organizations grow, vendors are expected to keep up with a number of evolving market trends. As discussed previously, Business VoIP grew into Unified Communications as technology advanced, and as organizations required more tools to get work done faster. Presence indication seems like such a simple little feature, but can be an absolute game changer when that in-the-moment urgency is necessary. Of course, there is one major trend that not only continues through meeting solutions, but the vast majority of collaboration and communication business applications — that is simplicity and ease of use. Tools need to work together, they need to be consistent across multiple devices and platforms, and they need to be simple. Now, simple is no simple task. It takes years of development and research to truly hit that magic recipe. 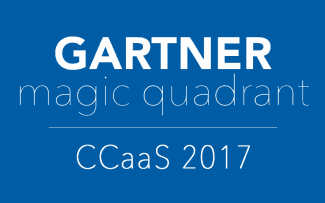 Gartner did in fact publish a previous Magic Quadrant for Meeting Solutions last year in 2017, which gives us a strong basis for comparison. Generally, we like to understand how the market is growing, and how players are shifting around. This enables us to provide insight into which the strongest options are, and for what reason. Gartner doesn’t just arbitrarily move providers around, or choose to exclude them from the list. 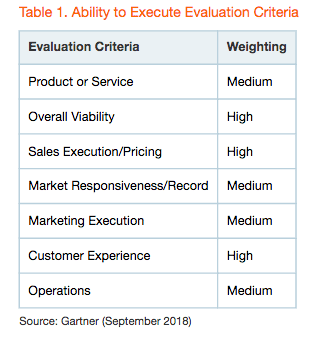 Rather, Gartner has their own in-depth process of analysis to rank vendors and their solutions. Gartner specifically noted that the meeting solution market “is composed of a diverse set of vendors vying to satisfy a widening set of meetings and collaboration use cases,” and these will range from businesses of all sizes. What’s good is this provides organizations with a wide range of providers, some who place a stronger focus on specific use-cases than other. But, on the downside, this provides more options which can make the buying process all the more difficult. The analyst firm also explained that meeting solutions are deployed with a mix of different delivery models, as is common within the business application world. SaaS is of course the most common and prominent, while solely on-premise based and hybrid options exist alongside cloud delivered solutions. Beyond these specific capabilities, Gartner further explains their inclusion criteria, which we will take a closer look at below. Within the report, Gartner lays out its critical inclusion criteria, looking for solutions that provide fairly specific functionality. These functionalities range from simple organization, like clean presentation delivery that enables all participants to see an online presentation and who is under control, to more complex features like desktop or application sharing, text chat, and integrated VoIP. I think the inclusion of other functionalities beyond video is an important distinction to make, illustrating how the expectations for these tools has grown beyond just one simple tool set. Particularly, Gartner also looks for mobility within a solution, the ability to show live multiparty video feeds, reporting functionalities, and even the ability to support at least 50 individual participants. Gartner is also looking for tools that are capable of hosting and providing webinar services. Moving beyond the functionality of the solution itself, Gartner also analyses each individual vendor, look for at least $15 million in annual revenue, developing and marketing their own primary solution as opposed to reselling another tool, evidence of at least five enterprise-scale deployments, and sales and marketing efforts connected with the solution that are not limited to one specific process. Of course, the analyst firm goes even further and explains that they also take note of the vendor’s Ability to Execute, focusing on a specific chart of criteria and weighting, as well as the “Completeness of Vision,” meaning an evaluation of the vendors’ marketing and product strategies, flexibility in supporting multiple deployment methods, and more. Again, this is represented within a chart. Year to Year Changes: Who Moved Where? To break this down simply, I wanted to take a closer look at both this year’s Quadrant, as well as a comparison to last year’s report. As you can see, there are some notable changes within just the one year, most importantly we saw LogMeIn jump from a Challenger to a Leader, while we saw West, Polycom and ZTE — three large names — fall off the list completely. It is also interesting to note that two new providers were added, Lifesize and StarLeaf, due to their meeting of the inclusion criteria. I want to take an even closer look at both the current Leaders of the Magic Quadrant, to understand why they are on top, as well as those that fell off the list, to better understand what excludes a provider from the recommended options. Before we dive into that, I want to mention that it is interesting, but not entirely unexpected, to see both Google and Adobe remain within the Challengers. While both massive names, neither have the strongest foothold in the collaboration and Meeting Solution feed — Google more-so, but due to their more sporadic organization, it can be difficult to follow their overall vision, without doubts towards its completeness, as well as the inability to execute on many projects that quickly fall to the wayside. To understand where the market is at, it’s always helpful to look at which providers are on top, and why exactly they are considered to be leaders within this space. 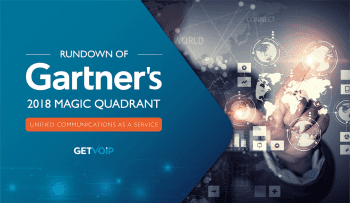 Gartner does a great job of outlining both the strengths and weaknesses of each provider, so we wanted to offer a quick rundown on what they’re doing right. Generally, a name we have come to expect to see within a leader quadrant, Cisco manages to hold their position from 2017 to 2018 within Meeting Solutions specifically. The provider of course offers a wide range of different meeting solutions, along with different UC tools, and can manage either premises-based or SaaS/Hybrid deployments. 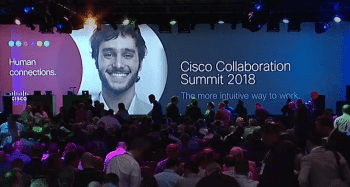 For on-premise, Cisco offers the Cisco Meeting Service, and for SaaS Cisco provides Webex Meetings, formerly Cisco Spark, and even Cisco Webex Teams, formerly Cisco Spark, for workstream collaboration. With these options, Gartner noted that Cisco offers one of the widest ranges of meeting solution features than any other vendor, including some advanced capabilities. The largest selection of meeting solution features on multiple types of endpoints (from desktop to boardroom), more than any other vendor in the report, with advanced functionality like intelligent speaker tracking and natural language speech commands. The largest and most accessible channel ecosystem for sales, delivery and support on a global scale. This alone puts Cisco way ahead of other providers with much more limited access, and provides support for multinational corporations. However, just like any other option, Cisco has a few cautions Gartner makes note of as well. While the provider offers an extensive feature set, Gartner noted that their “meeting solutions still lack a few advanced capabilities,” specifically those for Enterprise buyers, including automated transcription of the meeting into a text document. At the end of the day, Cisco’s reliability and proven record of service consistency make this a strong provider choice for even the largest multinational organizations. The name behind GoToMeeting, GoToTraining, GoToWebinar, GoToConference and join.me, LogMeIn has almost become a household (businesshold) name for Meeting Solutions. LogMeIn actually moved up to be a Leader in this year’s Magic Quadrant, following their acquisition of Jive Communications back in Q2 of 2018. This acquisition might not be the sole reason for this position jump, but managed to provide the vendor with a larger number of resources and technologies. Gartner noted that LogMeIn “operates meeting solutions that are popular among enterprises and LOBs” specifically, at a much greater scale than competitors in the market. 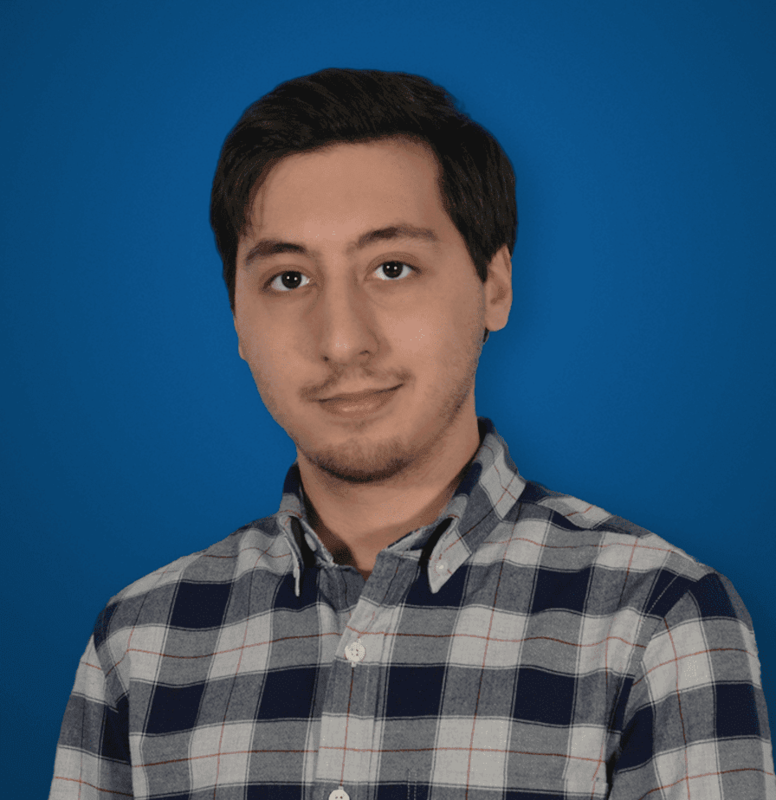 A focus on innovation with “deep metrics about quality and usage trends,” as well as important functionality including speech-to-text transcription and even integration with Amazon Alexa to provide speech commands and functionality. While it may seem that Customer Service isn’t the biggest selling point, LogMeIn is already known for their comprehensive and simplistic solutions. A basis of solid customer service can absolutely be a make it or break it aspect of a solution for any organization that is looking to rely on these services for major communication needs. With any business application, if the service is having an issue or a SaaS deployment goes down, it will ultimately rely on the Customer Service of that vendor to ensure things are running smooth and stable — knowing the vendor of choice has this track record will add to peace of mind when investing large amounts of capital and time. Again, a large name we are all familiar with, Microsoft held onto its leader position with its offerings of Skype for Business as a hybrid and on-premise solution, as well as Skype for Business Online and Microsoft Teams as SaaS. Gartner also mentioned that Microsoft provides a “dedicated deployment option for U.S. government customers.” What is interesting to note is that Microsoft seems to be positioning Teams to replace Skype For Business within the near future, and these results might change following that transition. With Office365 inclusion, Microsoft provides organizations with an entire platform for collaboration and communication. Microsoft has become the golden standard within business applications, and remains so as solutions and tools evolve. This complete platform provides a simpler buying and using experience with consistency in not only user-experience but even pricing. Microsoft’s reach is global, and vastly exceeds the majority of competitors within this list. This includes both direct and indirect partner sales, and provides with it ease of deployment and maintenance. What Gartner did not like about Microsoft is the lack of “licensing models for meetings that are common in its competitors,” meaning Microsoft does not provide licensing models for “concurrent usage, per endpoint and per event models.” The provider also has not looked much into the consumer-oriented smart devices that utilize verbal commands, like Amazon Alexa or even Cisco’s Spark bot. However, Microsoft is of course one of, if not, the largest Business Application provider — and even that is selling them short. Their overall ease of use and deployment along with consistency and simple maintenance makes Microsoft a strong choice, particularly if the organization is looking to gain a complete platform and not just a specific Meeting Solution. With just Zoom Meetings and Zoom Video Webinar solutions under their wings, the provider still manages to offer SaaS, Hybrid and Managed Service and dedicated deployment options for these two solutions. 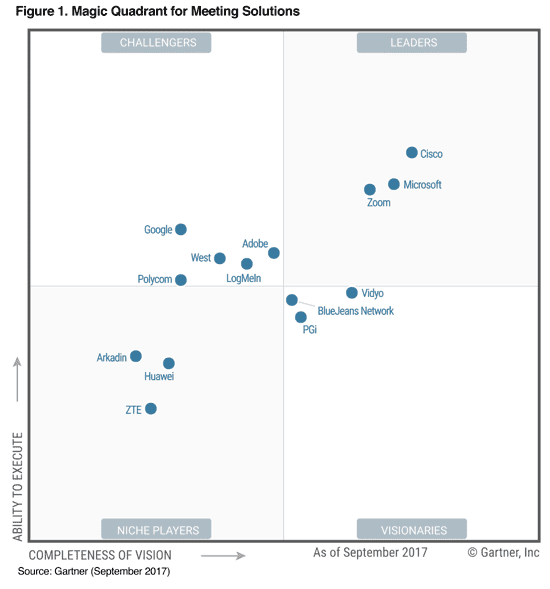 Zoom seems to be a bit more laser focused, especially when compared to the other vendors within in the leader quadrant. Gartner has noted that the provider’s market expansion is impressive, and constantly growing, while customers indicate the service is both consistent and reliable, with the quality of video being one of their most compelling strengths as compared to other vendors. A robust set of both video collaboration capabilities as well as continued innovation in conference room environments. These solutions are designed for ease of use with desktop clients, conference room systems and mobile devices, and include innovations like meeting join automation and smart device compatibility. Zoom’s market expansion is “Impressive” according to Gartner, with the provider introducing a number of new data centers while growing adoption among users within both higher education as well as enterprises. Gartner did make note that Zoom’s management dashboard “could use some further enhancements in or der to provide increased visibility and control of its conference room solutions,” but did also explain that these tools are useful for IT professionals to help monitor service adoption and performance. Zoom also “maintains a direct sales model for a high percentage of its business,” which Gartner explained can sometimes create conflicts between buyers who would prefer to use a third-party reseller, but this is a small issue in the grand scheme. One of the most important takeaways, however, is that Gartner feels Zoom could still use improvement on its global presence, and does not stand as a strong option for multinational organizations. Who Fell off The List? What is really interesting with this Magic Quadrant was not only the inclusion of two new providers, but also the exclusion of three providers that were previously on the list. Gartner does not offer too much in-depth analysis behind this decision, but I wanted to reference these points quickly as well. As we know, Polycom has had a bit of a mix up in organization and strategy within the past few years. Just this year the vendor was acquired by Plantronics, and while they still offer “valuable and complementary audio/video components for conference room and desktop environments,” they do not have a complete portfolio of specifically meeting solutions capabilities as Gartner has defined within the inclusion criteria. While Gartner notes that ZTE did in fact meet their specific inclusion criteria, the analyst firm could not include them in the 2010 meetings solution Magic Quadrant “due to export-control-related decisions that impacted its operation status” at the time of their research. Choosing the correct business application is never a simple task, especially when it comes down to a platform that handles something as critical as core communications and collaboration. Thankfully, Gartner does a wonderful job organizing, researching and analyzing the available options to provide not only potential buyers with a guide to intelligent spending, but also a resource to existing vendors looking to improve their solutions and platforms. While Meeting Solutions don’t seem to be the most popular tool yet, if predictions are true they will absolutely take off within the next few years. Workplace trends alone help dictate this evolution in innovation and adoption, with meeting solutions making it easier than ever to collaborate and communicate regardless of location.